Today’s missive is about the failure of success. This phrase is a take on the one coined in a paper I often reference by Dean Ludwig and Clinton Longenecker entitled The Bathsheba Syndrome: The Ethical Failure of Successful Leaders. This came to mind once again as I was reading the morning paper and discovered an article on yet another Naval Officer pleading guilty to bribery and conspiracy charges in conjunction with the Fat Leonard debacle. Here’s another sad failure of a successful individual. Perhaps this commander was an otherwise decent guy. But how does a decent guy, a successful Naval officer, wind up in the throes of bribery and prostitution? Before I sound too self-righteous, I should point out that there is a dark side to each of us. I just finished reading a great book by Christian Miller entitled The Character Gap: How Good Are We? The theme of this book was that we all are some mixture of good and bad. Most people wind up between the extremes. Surprisingly, we tend to think we are not a bad as we might actually be, and we almost always overlook our flaws. This problem of human nature gets magnified when we become successful, making it all the more important to constantly evaluate our behavior. The book ends with some strategies to keep one on a virtuous path. There is one interesting strategy worth mentioning here, “nudging toward virtue.” The basic premise is that there are little “nudges” you can make which tend to move one towards a more virtuous life. The analogy used is called “Fly in the Urinal”. There’s an airport in Europe that was having real trouble with maintaining cleanliness in the men’s room. Signs urging guys to pay more attention to doing their business apparently didn’t have much effect. 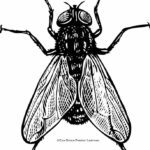 By engraving the image of a house fly in the bottom of the urinals, spillage decreased 80%. The signs were a hammer, the fly was a nudge, but many times more effective than the hammer. (I’m reminded of the sign in the men’s room at Penn Station in New York: ONLY ONE PERSON PER URINAL) Nudges can be little things, giving blood, giving a homeless person a buck at a stoplight, a quick thank you to the janitor, etc. While nudges won’t necessarily turn things around, they are a reminder that each one of us could do better. Back to failures of success. Examples are everywhere. I always introduce myself as a ‘twice-failed” retiree.” I just can’t seem to get this retirement thing right. Many small businesses fail because they are wildly successful as an 8(a), but fail to make the transition to big business. Football teams can be highly successful for 58 minutes of a game, only to revert to a “prevent defense” for the last two minutes. They stop doing the things that made them successful for most of the game and the opposing team takes advantage of this lapse. Senior leaders destroy brilliant careers by outrageous behavior. They, too, abandon what made them successful all their career. Success or failure does not always relate to level of effort. Luck plays a role. Other people play a role. Events beyond your control play role. This is why it is so important to reflect on the results of your labors. Was I just lucky this time? Success or failure tend to have unintended consequences on those around you. They may be impacted, even though they may have had nothing to do with your behavior or actions. Success and failure can be unfair. As they say, “A rising tide floats all boats”, but just as easily, one bad apple can ……yadda, yadda, yadda. Success and failure can happen randomly. 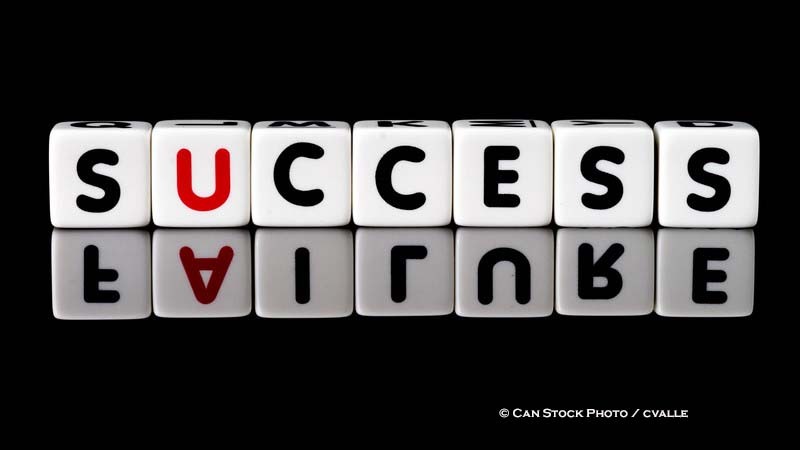 Most leaders say one makes one’s own luck by setting the favorable conditions. Throughout my life, I’ve been lucky enough to have the successful surprises outnumber the opposite. Both always bring the judgement of others on you, good and bad. Some are envious. Some are resentful. Some feel vindicated. Some are happy/sad for you. Regardless, you will be judged. Set the Standard. Make sure all who work for you know YOUR standard. A particularly useful way to do this is to send out a memo on what your expectations are and how you expect business to be conducted. Include topics like who pays for lunch, how you expect gifts to be handled, what can and can’t be in an email, etc. If people know what you expect, they will generally deliver, but you have to tell them first. Use moral reminders. 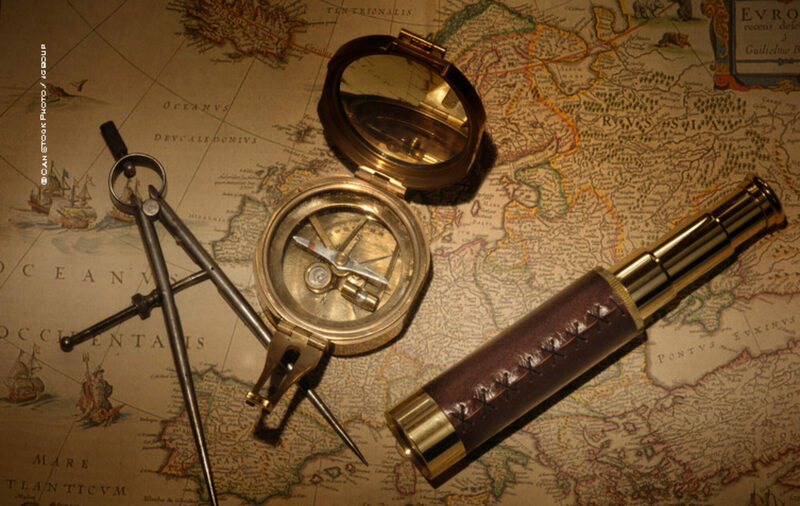 Set up a system to make sure you are adhering to your moral compass. Have an ethics topic of the day at staff meetings. I found using my EA as a moral reminder was effective. If I was scowling during a meeting, he might pass me a note that said “Smile.” Just think of something to keep yourself grounded and use it. Attend to “Nagging Feelings.” If you find yourself mulling over tough decisions again and again, or if you are spending a lot of time justifying a decision, then something is wrong. If it’s bugging you, then you probably need to do some more thinking. Someone once said, “A clear conscience is the softest pillow.” It’s true. I suppose the corollary is “A guilty conscience is a bed of nails.” Bottom line is to listen to that little voice in your head. Fill the “Knowing-Doing” gap. This is a hard one for people that move into leadership positions. One of the “separators” between leaders and followers, is that leaders don’t have the luxury of looking the other way. If you know about something, you must take action. Once people are confident that you take action on the things you know need fixing, they are far more likely to take action themselves. Seek Advice. This is closely related to having a mentor, but is really all about realizing your limitations and knowing when to ask for advice on an issue. Having another perspective on tough issues can be very helpful and healthful. Practice Ethical Fitness. Think a little each day about how you are preparing for the next tough decision. Listen to the news and think about how you would react to situations. Work a little daily at making tough decisions so that when the chips are down and you have little time to make a decision, your ethical reflexes kick in. Get out of the office. Walk around. Talk to people. Watch what’s going on. Read the bulletin boards. Have lunch in the cafeteria with employees. Don’t let the small cloud of sycophants and head-nodders surrounding you keep you from knowing what’s really going on. Listen to (and value) all opinions. You don’t have to agree with or heed all the advice you are given, but it sure helps to know what others think. Reflect. Set some time aside for reflection each day. Insist your staff schedules it and protects it. Don’t let them fill it up with other meetings. It doesn’t have to be long…15 minutes is fine. There are plenty of people over you that can intrude on your time for reflection, but don’t let your staff do it. Be a role model. Pretty simple. You are a role model, rather you want to be or not. Remember that while it may not seem like it, everyone is watching what you do, what you say and how you say it. They are like your young kids sitting in a car seat. 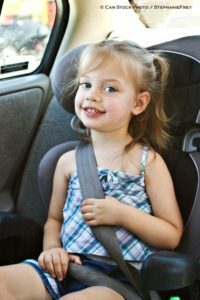 They are listening to everything you say and are happy to provide the grandparents with a complete rundown of what was said. Where is, repeat, where is Task Force Thirty Four? I just returned from the annual American Society of Military Comptrollers (ASMC) Professional Development Institute (PDI) in New Orleans. It was an outstanding opportunity to learn about the state of the art in the DoD budget and accounting. Well done to Executive Director Al Runnels and his staff!!! This year I reckon there was north of 2000 folks from throughout the DoD Financial Management profession….Army, Air Force, Office of the Secretary of Defense, Defense Agencies and even the US Coast Guard. Leadership and rank-and-file throughout DoD, from the Honorable Mike McCord, the Undersecretary of Defense (Comptroller) on down, gathered to consult, confer and otherwise hobnob with their fellow budget wizards. In fact, I dare say that most of the senior Financial Management leadership from the services and defense agencies was there. There was only one thing missing: the Navy. Yep, that’s right. The Navy chose not to participate. Given that every other service, defense agency, and the OSD staff decided it was important to send their people, I can only assume that either the Navy thought that its people (personnel in DoD speak) didn’t need the training offered at the PDI or that despite the need for training, barring their attendance was the safer or smarter move. So the Navy and USMC financial managers sat on the sidelines while the remainder of their counterparts in DoD heard for Mr. McCord; the Honorable Jamie Morin, Director of CAPE; Mark Reger, the Deputy Comptroller of the United States and numerous other senior officials. They attended required FM certification training, attended workshops, participated in a whole day of service-specific training and conducted community service projects. In the interest of accuracy, there were a handful of Navy folks there, but only if they were actually presenting a workshop or receiving a national-level award. Most DoD financial managers are required to receive about 40 hours of continuing professional education annually. Those who have achieved the coveted Certified Defense Financial Manager (your humble author among them) are required to take 40 hours annually to retain their certification. In addition, the DoD recently introduced a financial certification program aimed at increasing the professionalism of the FM workforce. It’s a tiered program with each level requiring specific courses delivered by qualified personnel. Once a certain level of qualification is reached, there is a continuing education requirement similar to those above. The highly specialized training required for the various certification levels is offered at the PDI, along with a variety of accredited courses that count toward annual training requirement. I’m not quite sure how many hours it would be possible to knock out at the PDI, but it’s somewhere in the neighborhood of 20. That’s half the annual requirement! To make sure people actually attend the training, they are individually scanned in and out of training sessions and only given credit if they attend the entire session. Each day begins at 07:00AM with breakfast and training sessions go on throughout the day until 4:40 PM. Believe me, that’s a long day and I have yet to figure out a way to “beat the system” so I have to sit through the classes all day to get credit. It’s not exactly a cake walk. You can be sure people are actually getting the training. Enough of that. And now for the gorilla in the room: Yes, it’s in New Orleans, but there’s no escaping the fact that PDI attendees are sequestered (I just had to use that word) for a good nine hours a day….No zooming up and down Bourbon Street, no clowns wandering around, no $26 cupcakes…it’s all business during extended working hours. (This shouldn’t be surprising since it’s basically run by accountants, for accountants). By the way, what’s the difference between an introverted accountant and an extroverted accountant? The extroverted accountant looks at your shoes when he talks to you….Badda-Booom! So I mentioned earlier that maybe the reason the Navy leaders chose not to send Navy and Marine Corps people to this training is that they don’t need it. Well, you would be wrong if you made that assumption. I attended a session where the current numbers of people certified by service was presented and the Navy was just a sliver in the pie chart while all other services were big, fat pie slices just like your grandmother would serve. So the Navy needs the training above all and they are obviously not getting it elsewhere. In fact, given the workload of Financial Managers these days, it is really hard to find the time to take on-line courses. Oh sure, there are on-line courses….and they are good for filling some portion of the requirement, but no matter what you say, nothing beats real-time, classroom training to allow for substantial interchange between students and instructors. Would you rather have your dentist fulfill his annual professional training staring at the PC at home while drinking a martini or attending a gathering of dental professionals with an opportunity to talk to pioneers of the latest in the dental art and exchange views and techniques with his/her peers? When he/she says “Good thing I saw how to put in this implant on You Tube”, how would you feel?? or how about this: “Oh yeah…..since you have to put in a 10 hour day at the office, just do that training in your spare time”……Right! Here’s an idea: Why not do your training the next time we furlough you? What’s the big deal? We have posted classroom material in all the heads…..do some training while you do your business!!! It’s all about being efficient!” Seriously folks, I do remember aircraft checklists being posted above the urinals and on the backs of the stall doors in the squadron head in order to make use of “spare time”!!! LCS concept was for affordable, brown water vessel with modular capabilities to fulfill the presence mission in key locations around the globe. LCS modular concept meant that not all missions could be done at once, keeping costs lower and enhancing adaptability for new missions. 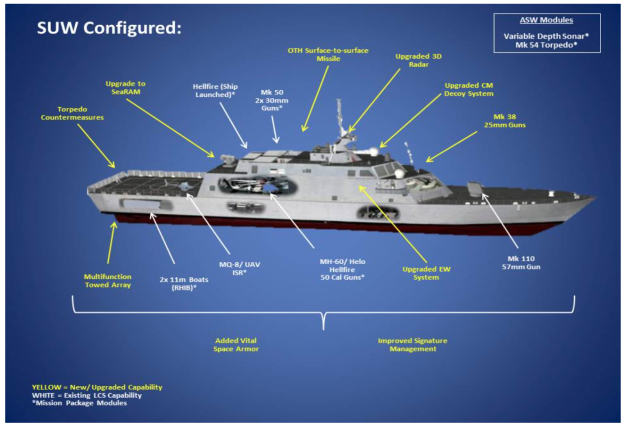 LCS was not designed as a front-line warship, bristling with armament, but was configured to protect itself in most likely operating areas. Navy bought two designs, hoping to down-select, but alas, since the only decisions that are generally (or admirably, if you prefer in this case) made in the Pentagon are pre-decided, the decision was made to not decide and buy both forever. 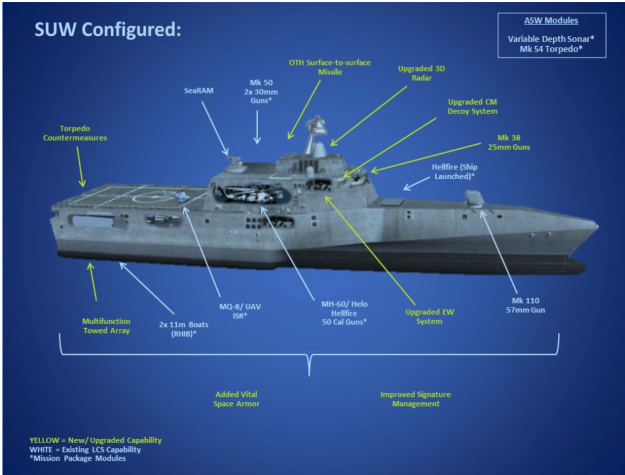 Elements in DoD leadership decided LCS didn’t have enough firepower and was vulnerable and directed the Navy to explore alternatives. Navy commissioned a big study to scratch the OSD itch. I found these slides in an article by the US Naval Institute and they are attributed to the US Navy, however I couldn’t find them on the Navy website. ……stay with two LCS designs, bump them up a bit (maybe $53 or $61 Mil or so) and move on. I think the only one surprised by the answer may have been SECDEF himself! Otherwise, why bother? I shudder to think about the amount of money and time spent on this study which had only one answer. I haven’t seen the actual study, but from what I’ve read about it, no stone was left unturned (apparently 192 stones to be exact). Option after option considered, analyzed, pondered, etc……..by those who already knew there was only one answer……we can’t afford anything else, nor can we afford the time required to start the acquisition process all over again. The answer was pre-decided. My guess is most of the changes announced would have been made anyway. The point of this little tirade is that we waste money on these types of exercises all the time. I think about all the good we could have done for our wounded warriors with the money we wasted on this study. I think about all the time consumed by some very smart people who could have been working on something really important…how to deal with sequestration, how to keep the technological edge, how to fix our broken nuclear infrastructure…and any number of other problems. Why does the Pentagon continue to do this? I suggest it’s because they have an endless supply of people and money. No one pays for people, they just have them. No one has to justify the cost of doing such a study because cost is not an issue. If I had done that in my civilian P&L life, I would have been shown the door. I had to spend my money and time on things that mattered and contributed to the bottom line. Since there’s no bottom line at DoD, everything tends to become equally important. Once on the Joint Staff I remember a staff briefing one day when the two topics discussed were the reduction of the nuclear arsenal by 50% and the Joint Staff savings bond campaign. We spent the same amount of time on each…in the end it was decided we should brief the Deputy Director daily on the savings bond campaign and as needed for the nuclear issue. I think we need a study on studies. I attended an evening affair recently with a well respected leader who reminded me that the old maximum “Where you stand, depends on where you sit” was actually memorialized by Rufus Miles of Princeton University back in the 70’s. Anyone who has ever been in a bureaucracy knows exactly what he means. I myself am a slave to Miles Law. And not only when I was lurking around the bureaucracy of the Pentagon, but even afterwards in my second career. It’s not a bad thing, by the way. In fact, if you are to be a loyal member of any organization, you will be dealing with the outcomes of the Miles Law. I recall my first job on the OPNAV staff as the Deputy N81 (Assessments). At various meetings in the Pentagon the inevitable “What are they thinking in the Fleet?”, was heard time and time again. We were sure they just didn’t understand the problems we were dealing with and their solutions seemed untenable. Then I got back to the Fleet, and at just about every meeting I would hear, “What are they thinking in the Pentagon?” And so it goes. The point is ones perspective is always shaped by the environment, business or otherwise. Once I retired from active duty and become a “contractor”, within a matter of a few months I just couldn’t figure out what my former colleagues in the Pentagon could be doing….They should be doing it our way!!!! So remember when you are in the next meeting where you think your organization has the market cornered on the thinking on some issue, there are others out there just as passionate (and probably just as right) as you are. Where you stand indeed depends on where you sit. Realizing that might make things go a little smoother. Now for the six maxims related to Miles Law. As you read them, I think you will find that they offer some invaluable insights into how to deal with your superiors and those who work with and for you. Maxim #2. The responsibility of every manager exceeds his authority, and if he tries to increase his authority to equal his responsibility, he is likely to diminish both. The lesson here is don’t worry too much about matching power with responsibility. It’s the way the system is designed and if you attempt to twiddle with it, you are asking for trouble. Maxim #3. Managers at any level think they can make better decisions than either their superiors or their subordinates; most managers, therefore seek maximum delegations from their superiors and make minimum delegations to their subordinates. As a leader, you will be pulled in many directions and in order to be effective, you must delegate….the trick is knowing your people and their capabilities so you can delegate the right things to the right people and keep you focus on what you should be focused upon. Maxim #4: Serving more than one master is neither improper nor unusually difficult if the servant can get a prompt resolution when the masters disagree. Boy can I relate to this one…In the military, we are often “Dual Hatted” or holding down more than one job with more than one boss. In fact, even with one job you can easily find yourself with more than one boss. Keeping #4 in mind will help you in managing the expectations of both (maybe even several) bosses. Communicate early and often with your bosses and make sure they all have the same version of the truth! Maxim #5. Since managers are usually better talkers than listeners, subordinates need courage and tenacity to make their bosses hear what they do not want to hear. My observations are that managers have a monopoly on talking without listening. Force yourself to listen…you will be surprised at what you hear. This is true no matter the circumstances; whether you are on a cold call with a prospective client, or sitting in a community association meeting. Too much talk, talk, talk…My advice………listen for a change. Maxim #6: Being two-faced–one face for superiors and one face for subordinates– is not a vice but a virtue for a program manager if he or she presents his or her two faces openly and candidly. I have no idea what this means, but it sure sound profound. Maxim #7: Dissatisfaction with services tends to rise rapidly when the provider of the services becomes bureaucratically bigger, more remote , and less flexible, even if costs are somewhat lower. Of all the maxims, this is one which is applicable in almost anything when it comes to bureaucracies, or even companies. You have to constantly keep yourself in tune with your clients….refer to Maxim #5….., listening to what they have to say. 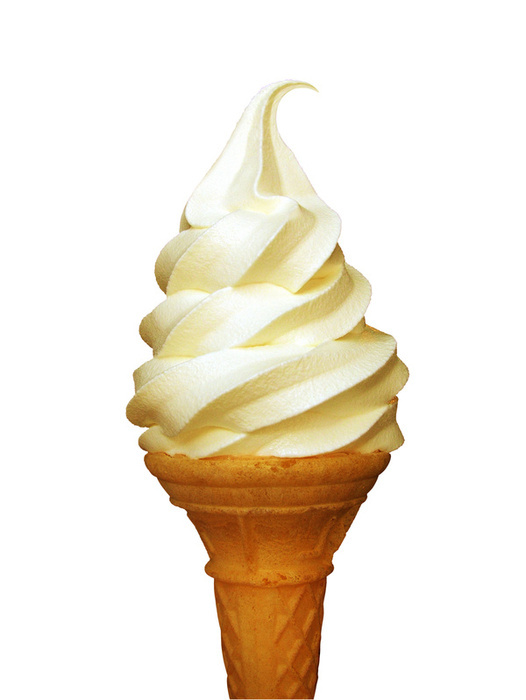 Be vigilant that your organization is not morphing into the ubiquitous “Self Licking Ice Cream Cone”, existing not for providing services to clients, but for its own pleasure. By the way, by far, my article on Self Licking Ice Cream Cones is and continues to be the number one article people view when visiting my web site. If you would like to read the famous paper by Professor Miles, here is a link to a site that will allow you to purchase a copy ($25). Re-evaluate our military’s force planning construct. Prepare for a prolonged military readiness challenge. Focus on institutional reform. The subheadings under this priority are reform and reshape our entire defense enterprise, direct more resources to military readiness and capabilities, and make organizations flatter and more responsive. So what are the metrics to use to determine is progress is bring made? As far as I can tell, this focus area should be part of the regular drumbeat of DoD, not some special focus area, implying that we will look at it, fix it and move on. Does he serious think that he is going to reshape the entire defense enterprise? Into what? And does he really mean to direct more resources into readiness, or just cut spending in other areas, only so they can become focus area next year? This one just leaves me uninspired and wondering exactly what we are reforming? Re-evaluate our military’s force planning construct. This one includes the classic example of Pentagon-speak, namely force planning construct. In the interest of clarity, I believe he means develop a different way to decide how big the Army, Navy, Air Force and Marine Corps needs to be. “Challenge assumptions” is a key part of this focus area. When have you not been to some type of business course where they didn’t say “Challenge the Assumptions?” Exactly what assumptions will we be challenging, who will challenge them and by what process will we evaluate the accuracy and efficacy of the assumptions? In my experience, DoD did a pretty good job translating the National Security Strategy into what wars and other missions we were supposed to be prepared for, turning that into war plans and then figuring out how many forces we needed to execute the plans. The problem was always with the front end in defining what the military would be expected to do. It always turned out to be too expensive. When I first started paying attention to the war fighting expectations I was a policy wonk on the Joint Staff. Back then we were supposed to fight and win two wars simultaneously. That proved so expensive that we had to change it to win one war, while holding our own in another, swinging forces to the the second war once we triumphed in the first. 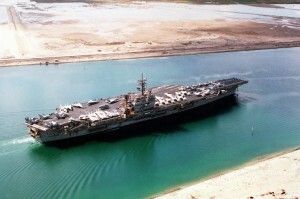 That, too, became too expensive, so we changed to win two wars, but one of them would be the war on terror. Frankly, I’m just not sure what the overarching strategy is these days, but I think it can be found in the 2014 QDR (see QDArghhhhhh). This is what it says: “U.S. forces could defeat a regional adversary in a large-scale multi-phased campaign, and deny the objectives of – or impose unacceptable costs on – another aggressor in another region,” whatever that means. Prepare for a prolonged military readiness challenge. This is Pentagon-speak for figure out how to do more with less. Protecting investments in emerging military capabilities. Not sure why this requires the continued focus of SECDEF. Can’t he just say make sure we have enough money in R&D accounts? By the way, here is where the grand plan is not to spend more DoD dollars in R&D, but push off the expense of R&D to industry. That’s not going to work as long as DoD keeps putting pressure on industry to lower profit margins…..Let’s see. I’m a Captain of industry; What’s my priority for where to put the profits I make? 1) Shareholders, 2) capital improvements, 3)cash reserves, 4) corporate jet 5)R&D. Hmmmmm what am I going to cut first when my profits drop???? Achieve balance I guess this is the old “tooth-to-tail” argument that Secretary Rumsfeld was fond of. How much redundancy do we need? How much forcible entry capability do we need? HOw many forces do we station overseas? How many fighters do we need and who gets them? and on and on. We’ve tried this before and the Services resisted any balancing initiatives that left them with less. Personnel and compensation policy The crux of this priority is to figure out how to have a world-class military force while implementing the lowest price, technically acceptable personnel and compensation schemes. That hasn’t worked so well in the acquisition world and I doubt it will work any better as a personnel policy. This is one I agree that’s needed, but not in its current fashion. None of these priorities are necessarily bad or wrong, but they are lacking the detail necessary to figure out if they will really make a difference. Is there someone tracking these priorities and providing monthly updates on progress. None of these items are terribly original either. We have all heard these things time and time again. I can remember tackling the issue of balance way back in 1990 with the AC/RC study done by the Joint Staff. I would rather see a list of 5 really vexing issues facing the department and put a concentrated effort into fixing them. The current list has no sense of urgency and just seems like business as usual to me. They are so big, just about everything winds up in a focus area. Why not focus on specific issues? 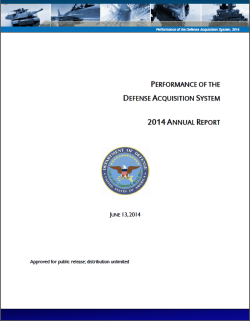 I just finished plowing through the 2014 Performance of the Defense Acquisition report published by Office of the Under Secretary of Defense, Acquisition, Technology, and Logistics (AT&L). I was prompted to look at it when I saw this article in the Washington Post on what motivated contractors, according to the report. Pardon my suspicion at a report bragging about how well the current crowd at AT&L is doing, but I’m suspicious. First….there’s a lot of statistics included and my experience is that statisticians can twist the numbers to say anything. As evidence, I note there wasn’t much bad about the JSF (perhaps the worst performing program of all time) in the report. Oh sure, it appears, but if one were to just glance at the charts and graphs where JSF is mentioned, you get the impression that it’s just a middle-of-the pack program…..lots of programs perform worse, a few perform better. EXCUSE ME? This baby is already $160 Billion behind schedule and 10 years late in delivery (and still counting by the way, especially given the disastrous fire at Eglin Air Force Base last week). How DoD can publish a report on performance of the Acquisition system without including a chapter on why the JSF program is so gooned up is beyond me. It’s like the YouTube video when the gorilla walks through the basketball game. Am I the only one who noticed? Another item I thought was interesting was the conclusion that although Firm Fixed Price (FFP) contracts do perform better and generally exhibit less cost growth, the report concludes it’s because most of those contracts are lower risk anyway. Oh by the way, the evil part of FFP contracts is that the vendors who do a good job of managing cost and performance of their programs are probably making more profit and therefore gouging the Government. I can hear the conversation in the Pentagon now, “That darn contractor actually delivered on-cost and on-time, so we must have given him too much money!” That substantiates my belief that the Pentagon has the uncanny ability to take from good performing programs to pay for the sins of poor performing programs, thereby dooming all programs to some level of common mediocrity. One other point I thought was interesting….there’s no mention of contracts that were awarded on a lowest price, technically acceptable (LPTA) basis. Some in industry contend that DoD is so bent on doing things on the cheap, that quality has suffered when contracts are awarded on an LPTA basis. I don’t know if that is just sour grapes from the expensive losers or truth. No one seems to care…….about the quality any way. Back to the title…..What were the conclusions? Not all incentives work. In order to work they have to be used, be “significant, stable and predictable,” and they must be tied to DoD objectives. Cost-Plus vs Fixed Price contract debate is a “red herring.” It’s incentive-based contracts that matter. Programs which realize better profits in production incentivize vendors to move quickly through the development phase (Of course, this implies that the Government does not change requirements in the development phase….Good luck with that!) and saves money in the end. Well written Requests for Proposals which are clear on requirements. No requirements creep during the process. Regular and reliable funding streams…none of this Continuing Resolution, furlough, of OCO stuff (Oh, how I’m tempted to use a different word here). Procurement professionals who spend a lot of time on improving government processes and less on monkeying around with industry processes. A Government that honors multi-year procurement deals. No canceling in mid-stream. To be fair, I think that there have been improvements in the acquisition process and those in the driver’s seat deserve a pat on the back. But in the end, the fundamental problem is that the requirements process never gets it right and we spend lots of time and money recovering. Congress doesn’t help things with its inability to pass a budget either. What to do, or what not to do. That is the question! I received several comments after I published my last article on “Leadership in the 21st Century” and I appreciate all the comments. In that article I commented on the recent case involving a former Commanding Officer of the Navy’s elite flight demonstration team, the Blue Angels. After consulting, conferring and otherwise hobnobbing with my fellow former Wizards, I thought I might offer up just a few more comments on the subject before forever holding my peace on the subject of Capt. McWherter and the Blue Angels. 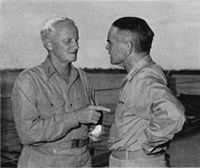 There was a lot going on there besides just the failure of judgement of the CO, including limited oversight by the Navy and the absence of an Executive Officer senior enough to step in and provide some advice and counsel. More on that later. I was struck by a recent Gallup Poll which once again found the Navy as the least prestigious of the Services. I’m not sure what that means since most of what Mr. and Mrs. America think about the Services is a product of their own (the Services’) PR machines. Wasn’t it the Navy that successfully extracted the Captain of the Maersk Alabama? Wasn’t it the NAVY SEALS that terminated Mr. B. Laden? Wasn’t it the Navy that was first on the scene providing relief during Hurricane Katrina, and Indonesia and Japan? Doesn’t the President always ask “Where are the carriers?” whenever something goes wrong in the world? Doesn’t the Navy run the White House mess? Isn’t it CAPTAIN Kirk, not Colonel Kirk? Jeez , what do you have to do to become the most prestigious Service around here? I know……..Sponsor a race car that wins the Daytona 500! Or make a cool commercial about killing dragons and rescuing damsels! Or lose track of a couple of nukes! The notion struck me that part of the problem is that the Navy is too transparent. We not only advertise when we relieve Commanding Officers (don’t think that the other Services don’t relieve their share of Commanders) but we also come clean when we relieve senior enlisted advisors. You just don’t hear much about that from the other Services. Of course it’s a big news item these days and I liken the problem the Navy finds itself in with regards to negative publicity to the problem I have on the golf course…..Once I’m in the woods, it’s almost impossible to get out. Either I schwack another tree in my current thicket, foolishly trying to thread the needle between a couple of obstructing trunks, or I wind up in the woods on the other side of the fairway because I gooned up my attempt to pitch out. Why I don’t just pick it up and take a “Snow Man” when I wind up in the woods I’ll never know. That’s where the Navy is right now, in the trees and trying to pitch out. This openness puts us behind the eight ball in my humble opinion….On the other hand, I think being open about our problems is not all bad. At least it shows we are aware of the problem and attempting to deal with it. But what exactly is The Problem? Is it that the Navy has a crisis in leadership? I don’t think so……in fact I know that’s not the problem. With close to 300 ships, 50 or so aviation squadrons and probably at least 100 shore commands, we actually have very few COs that break the event threshold. In fact, you could write 100 good stories for every bad one…but that doesn’t sell papers. Focus training efforts of prospective COs and Senior Enlisted Advisors on how to be successful, not how to stay out of trouble. Be positive, proactive and practical in training COs. The bottom line: Let’s spend more time on how to succeed in command,instead of how not to fail. There’s a big difference. Details of this can be found at this link if you are interested. All these are worthy goals, and they have made a difference. A recent GAO report found that some progress was being made, but that cost and schedule growth remain significant; 39 percent of fiscal 2012 programs have had unit cost growth of 25 percent or more. The amount of money in the DoD acquisition pipeline is staggering; 86 major defense acquisition programs estimated to cost a total of $1.6 trillion according to GAO. If you have any questions about a specific program click here. Besides the modest, if not marginal, improvements in acquisitions, some not so nice things happened as well. As is often the case in large bureaucracies, what the big guys at the top are saying and what the little guys in the field are hearing frequently don’t jive. That was the case with the Better Buying Power Initiative. Dr. Carter said “Increase the use of Fixed Price Incentive Fee contract type where appropriate…”, but the dudes in the field heard “More Fixed Price contracts, less Cost Plus Fixed Fee and Time and Materials contracts.” Contracting officers were suddenly burdened with having to provide extensive justification for any non-Fixed Price contract. Since they were busy enough, the Contracting Officers would rather just go with the flow and issue fixed price contracts, even though the work was not appropriate for them. The words “where appropriate” were overlooked. In the end, it wound up costing more money. Here’s why. When a contractor agrees to a fixed price contract, the contractor is assuming all of the risk. Suppose the job was improperly scoped by the Government, or suppose a software glitch pops up that takes time (and money) to fix. All those unexpected expenses are absorbed by the contractor. Consequently, Fixed Price contracts tend to be more expensive in order to cover the risk. This was certainly the case in my former life when a long-time client came to me and said, “The Boss says we have to do a Fixed Price contract” this year and it can only be for one year at a time. This was not what the customer wanted, but the customer was at the mercy of the acquisition folks. The work we were doing at the time was rather unpredictable and my team was never quite sure from day-to-day what they may be tasked with next. In order to be responsive, it was a Time and Materials (T&M) contract, which allowed us to flex to the client’s requirements. But with a fixed price contract, I was not able to flex without a contract modification (and that takes time and money). I told the client that if we were going to do a fixed price contract, I would have to increase the price and that I would not be as flexible in doing new work. That fell on deaf ears because it was going to be such a hassle to justify anything other than a fixed price contract. Here’s another example. Dr. Carter says “Promote Real Competition”, but the folks in the field heard, “Use Lowest Price, Technically Acceptable (LPTA)” evaluation criteria for source selection.” This caused all kinds of price wars in the community and the Government was feeling smug about how much money they were saving, but…………Turns out many Requests for Proposals were poorly written with vague and overly broad technical requirements, so that just about any old company with the resources to put together a proposal could win the contract. And they bid ridiculously low rates, so in the end they were unable to deliver and customers began to fall back to other contact vehicles to get the work done, or just didn’t do the work. I think it’s a little too early to actually get to the real statistics about how many customers are really satisfied with the results of LPTA winning vendors but the Congress should find out before attempting to come up with more legislation. There is still a lack of coordination and cooperation between those who generate requirements, those who pay to satisfy the requirements and those who buy the stuff with the money they are given. There is still a disconnect between contracting officers and the customers for whom they buy products and services. There is still a disconnect between what the leadership in the Pentagon says and what the people in the field do. The uncertainties of funding from year to year drive programs to their most expensive procurement options. Certain key programs get a “pass” from all the rhetoric about performance, affordability and life-cycle costs, overshadowing all of the progress made to reform acquisition. The top 10 acquisition programs still account for 65% of all the acquisitions according to the GAO. The Joint Strike Fighter is 25% of all DoD acquisition alone! So in the end, I doubt very much if legislation will fix the problem. Four feet of stacked up Federal Acquisition Regulations and Defense Federal Acquisition Regulations are not going to be much affected by another thousand pages or so of legislation. Check out the recent testimony of Dr. Paul Francis, the Managing Director of Acquisitions and Sourcing Management at GAO. He has some very practical steps on how to improve the process. In addition to those steps, I would like to see DoD actually evaluate each program on its own merit, not on investment levels or political support or not simply press on with a poor program because they managed (mismanaged is probably the better word here) to get into a position where there is no alternative. It would also be nice if the people who are actually charged with executing the acquisition system at lower levels could have a say in how to make things better. There’s too much Top Down and not enough Bottom Up built into the process in my humble opinion. What if we asked the practitioners to come up with a series of reforms instead of the pontificators? Porsche or Maserati? What to Drive? Let’s see…..What do I drive to work this morning? My Porsche or my Maserati? Gosh, it’s such a tough choice. When I read all the rhetoric coming out of the Pentagon theses days about the tough choices they are making over there, I tend to think that’s their definition of a “tough choice.” Granted they do make a few hard choices, but none of them are the budget choices they are making for the FY15 budget that’s on the Hill right now. They have so much money to deal with that the normal ways in which you or I would deal with problems is not possible. There are several reasons why I believe the tough choices are not possible. In fact, in the Pentagon the toughest choices are actually the easiest. Take for example the luxury of scale. Because of the vast quantity of money the Pentagon has, scale makes things easy. Let’s just say for the sake of argument that the total Pentagon budget for 2015 will be around $550 Billion. I’m working on the budget and I need to come up with $5oo million to pay for my “widget ” program because it’s two years behind schedule and Congressional support is waning. I dare not go to the Hill and ask for more money. What tough choices can I make? How about I assume the inflation rate for next year will be 0.1% less than it currently is….Guess what? Instant $550 Million in my pocket. Problem solved! Another factor which prevents the tough decisions is the herd mentality. It’s much safer to stay with the herd than to break away. Suppose one senior leader in DoD, uniformed or civilian had said, “I value people over weapons. The margin of superiority that we enjoy over our adversaries is so great that I don’t mind shaving a few dollars off my massive budget to ensure I fulfill the promises we made to our Number One weapons system, our people.” What do you think would happen? That person would be dragged to the River Entrance and publicly flogged and made to walk the plank into the Pentagon Lagoon. So it’s much easier and safer to stay with the herd. The tough decision is to break away from the herd and stand on principle. Yet another problem in the way of making tough decisions is the limited line of sight of senior people. They only know what their staffs want them to know. And if you have ever been a staffer, you know that staffs tend to seek out the solution of least resistance in order to move on to the next problem. Solving the problem is more important than how the problem was solved. If everyone tells SECDEF that the only way to balance the Pentagon budget is to make the tough choice to continue to fund (and actually add more money to) the worst performing acquisition program in history, the F-35, and to pull money from Commissaries, up TRICARE fees and fiddle around with the retirement system, he believes them. Somehow that seems like a no-brainer to me. A few billion dollars is not going to make a difference in the JSF. It’s already over $160 Billion over budget and 7 years behind schedule. Does anyone think the money saved by cutting Commissary subsidies by $1 Billion is really going to make a difference? Well, not to the JSF, but it will certainly make a difference to a young E-2 Marine who is already on food stamps and struggling to make ends meet! There’s also the Irreversibility Principle. I saw this time and time again when I was in the building. In fact, I admit guilt in actually using the Irreversibility Principle to my advantage. 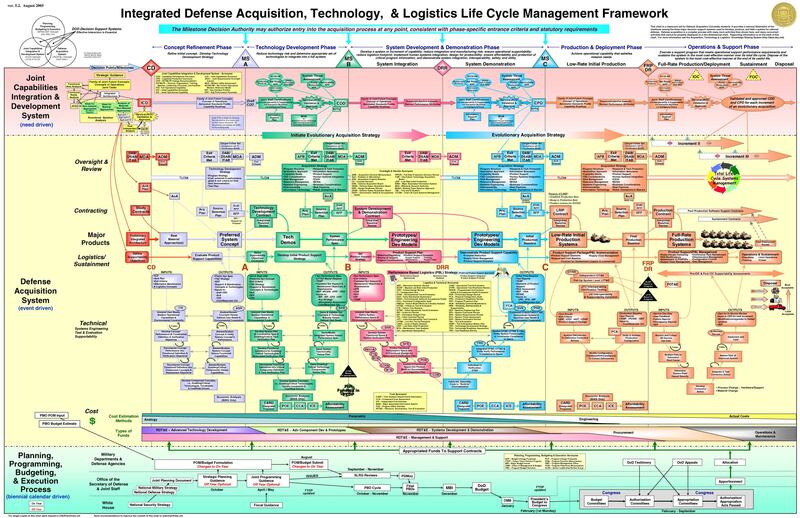 It goes something like this: The DoD budget is so complex and large that once it’s put together, it’s impossible to start over. If you don’t get your oar in the water at the very beginning, then you will be unable to make a change. If you want to have any hope of making a tough decision with major impacts, it must be made very early. What do you think the DoD budget would look like if in the very beginning SECDEF had said, “Whatever we do to balance the budget, it must not be on the backs of our people.” I guarantee you there’s plenty of wiggle room to develop the budget without monkeying with people programs. Just take a look at my previous article, Food Stamps and Decisions, and you will see what other things might be done besides chopping people programs. The tough decision is to declare the Irreversibility Principle null and void and demand a change. Heck, there’s so much churn in the development of the budget these days a little more chaos isn’t going to make much of a difference. Finally, there’s the Fixation problem. Ralph Waldo Emerson said ” A foolish consistency is the hobgoblin of little minds, adored by little statesmen and philosophers and divines.” For example, over the past few years there has been attempt after attempt to raise TRICARE fees again and again and again…(sorry , I got carried away!). Each time it’s shot down by the Congress and public opinion. But it’s their baby now, and to back down would admit defeat. There’s a “pay any price, bear any burden” mentality now associated with the TRICARE issue to the detriment of looking for alternate solutions. This is what happened with Asiana Airlines Flight 214. The pilots got so focused on the landing threshold and altitude they forgot to monitor airspeed and engine power. The same thing happens in the budget process. People get so focused on a single solution that they forget to look for others. If the Five Barriers to tough decision making are removed, we just might see some of those signs in our lifetime. As an A-6 Bombardier/Navigator I experienced the same thing. As a junior officer the best we could do was write down the ship’s position about 45 minutes before we took off and hope that the ship didn’t go too far. Once airborne, the first thing you had to do was figure out where you were by finding a landmark on the radar. Then you had to find your target, hope the pilot could follow the steering directions and while you guide your bomb to the target (assuming you were using a laser guided weapon). Then you had to go back and find the ship and land. Now all that is done by GPS, the bomb guides itself to a target you never have to find. How sweet is that? So is relying on state-of-the-art electronics a good thing or a bad thing? 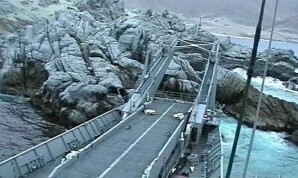 One would think that using GPS has got to make things easier, yet ships continue to run aground even with GPS in working order. I seem to remember that the USS LaMoure County ran into the continent of South America using GPS several years ago. 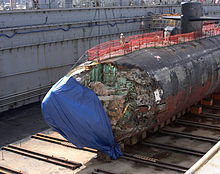 The submarine USS San Francisco was using an electronic map when it hit a seamount in 2005. So clearly, electronic systems are not infallible (although there’s always an element of human error). One could argue had there been less reliance on technology and more reliance on the tried and true methods of navigation those events might not have happened. On the other hand, using these systems reduces manpower requirements (and cost), saves time and can enhance safety when used properly. Heck, without technology a pilot could never fly an F-18 and accomplish the mission because of the complexity of the aircraft and weapons systems. So I’m not sure I know the answer to the question, “Should I rely on technology or tradition?” This is a classic dilemma that Dr. Rushworth Kidder addresses in his book, How Good People Make Tough Choices. Both choices are have merit and could be considered correct. I think this one falls into the category of the “trilema” mentioned in the book, which suggests there’s a third answer and that is to seek a balance. So when you are faced with deciding between technology and tradition, carefully consider the facts and seek a balance. With that thought, it’s time to take the slide rule out of my desk. I’m sufficiently comfortable with the calculator app on my iPhone that I think that piece of tradition is no longer needed.